This is an art print of a poster I made originally for a show by Ms. John Soda. 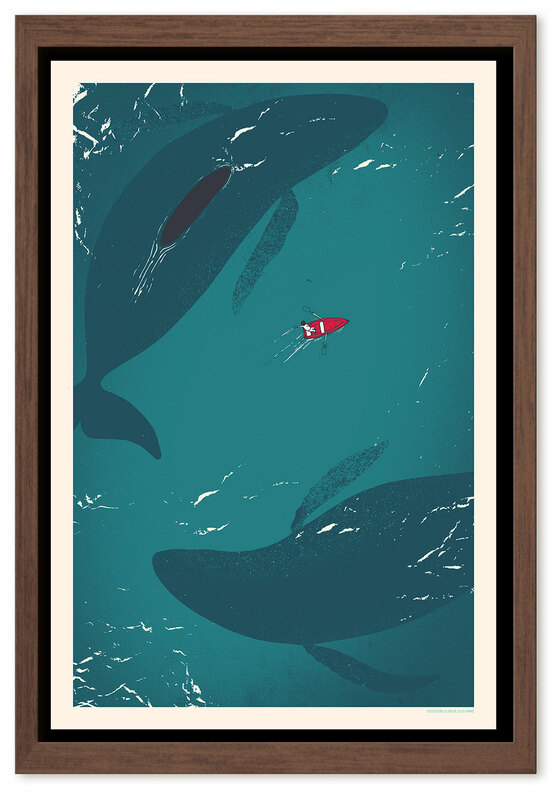 The 3 color print is based on their track "Hero Whales". Pulled by hand in a studio in Hamburg on 300gsm cream paper by Papyrus, FSC certified.